It's going to be one of those rare days where I like the movie a wee bit more, even if the source material was brilliant. To my credit they did a killer job with the movie - not only did they stick flypaper close to the source material, they also directed the scenes with finesse and had a near perfect cast. So I've seen the movie a lot before reading this cerebral-stimulating story about questionable heroes who are only realistic because they're questionable. That didn't damper my enjoyment at all; the story is too good for it to. If you don't know the story yet, that's a sad thing because this story rocks. A colorful cast of miscreants and worshiped idols blend together to make the former - and future? 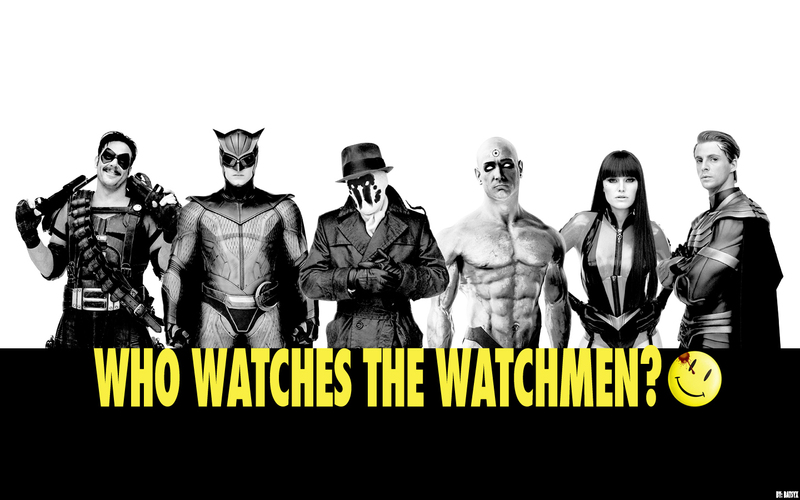 - watchmen. Is it irony or simply sensible that the ones who, at the end, stand by their unbending moral compasses are the ones who are the outcasts and who prefer staying in the shadow of humanity's eye, and that the heroes in the limelight are the ones who bask in their twisted salvation plan without question? 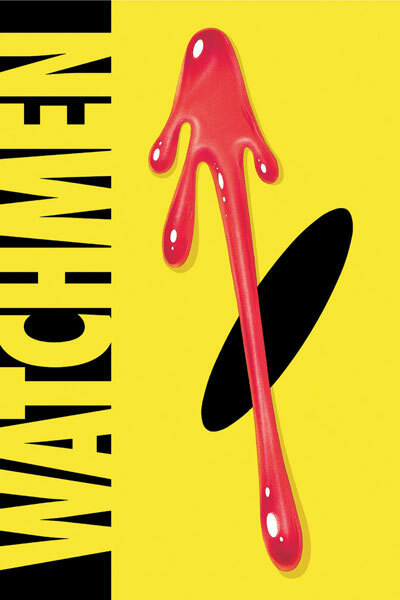 Watchmen mixes more than interesting characters together - it blends genres: a dark, noir mystery in Rorschach's investigations; the embrace of science-fiction and higher-function fantasy through Dr Manhattan; gritty slaps of the American dream confronting brutality in war via the Comedian; age-old hero worship and public adoration of select figures. Blend it all and what do you get? Bliss in book (and cinema) form. Character wise, Rorschach is my favorite. His serious and impatient ADD conversations with Daniel are winners. For some reason the blue Manhattan doesn't ring my bell nearly as much, and am I the only one who found the Silk Spectre more bratty than interesting? The story isn't about day-old accepted superhero stereotypes, but flawed beings who bounce their divergences against each other. Manhattan is a little bit of Superman, the king of the city, ultra powerful but now other, working with the people but distant from them. The director said when making the movie that Nite Owl was like Batman who couldn't get it up. Blend him with Roschach's detective skills, and a little bit of Batman does come to mind. It's sort of like blending beloved heroes with shifty but loved villains to get familiar but completely new creations. On the downside, I didn't like the comic interference in book OR movie form. Even if the book had it easier to digest in interludes, I still wish it wasn't there. I'm sure an artsy and relevant thing was being done with it, but I hate distractions. Some of the in betweens were cool additions, but some of it was rather boring. I think it would have worked better to have these features at the end as add-on bonuses - be awed by the story, then dive into extra goodies to spice up the experience. Also, artwork was rather lacking. They had only so much room to work with, of course, tons going on, and the faded washed effect works on a psychological level considering the time period and storyline, but there's little oomph and glory compared to some other graphic novel works. At the beginning, the story asks you to ponder, "Who is watching the watchmen?" By the close of the story, you're still pondering the same question. The streets are extended gutters and the gutters are full of blood and when the drains finally scab over, all the vermin will drown.